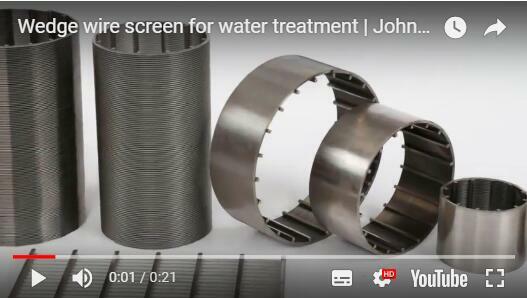 Wedge wire screen is welded by a stainless steel wedge wire and a support rod sometimes called it johnson wedge wire screens. Widely used in the filtration and separation industry due to its unique advantages. 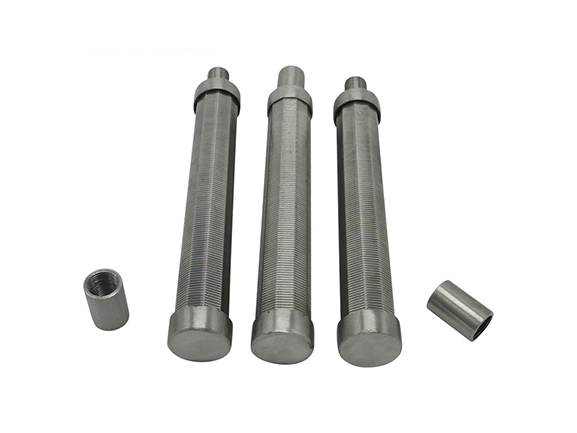 Our products are well known in the wedge wire industries, In addition to stable quality, control of slot size tolerance is ahead of the industry. With its excellent performance, it is also widely used in the environmental protection industry. Zhehan is located in Anping County, the origin of the stainless steel wire mesh, and we have advanced wedge wire processing equipment. We have great advantages in the price and quality control of raw materials. Slot size tolerance is a problem we often overlook, suppliers should provide relevant data to customers. After years of efforts, our R & D department successfully developed a wedge wire screen error correction equipment in 2012, this is one of the five technical patents of our company. This is the reason why our products occupy the biggest market, Our independent research, and development equipment enables the slot size tolerance control to reach the top level in the industry. 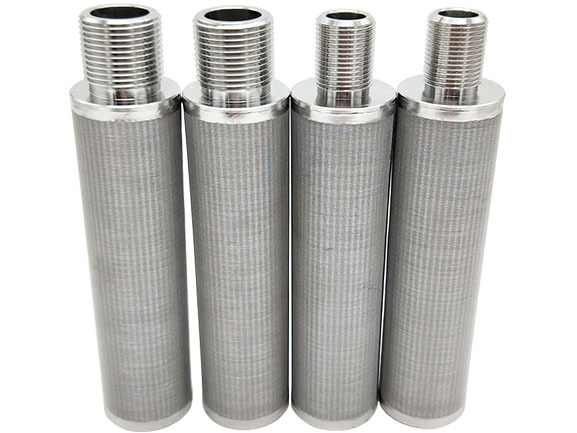 Cleaning is the last process of the metal filter element. Ordinary cleaning is mostly pickling, which aims to brighten the appearance of the filter element. Our cleaning equipment is also developed independently, it is different from ordinary pickling. After cleaning with our special equipment, in addition to the bright surface, also increased the corrosion resistance by about 40%. So our wedgewire screen has a longer service life than others. We often use anti-roll type products, at the same time, its production technology also reflects the technical level of the manufacturer. We can achieve the 50-micron filtration accuracy of the anti-roll wedge wire screen. Please see the picture below. 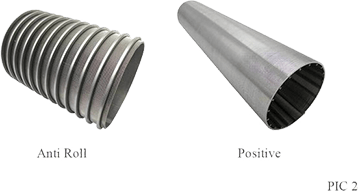 If you use a wedge wire screen often, you will be familiar with the diagram below, the products made by many manufacturers are the first ones, not a high precision circle. Perfect roundness has better performance and can be self-cleaning. We have an independent wedge wire screen workshop, four advanced production equipment, experienced production team, Independent transport department, guaranteed the order completion speed. Many years of production experience made us accumulate a lot of product data. We use this data to serve our customers, to provide them with the most professional product design solutions and guidance. Sometimes according to the requirements of the equipment, need to use the anti-roll wedge wire screen(PIC 2). Anti-roll wedge wire screen has one more process than the positive one. 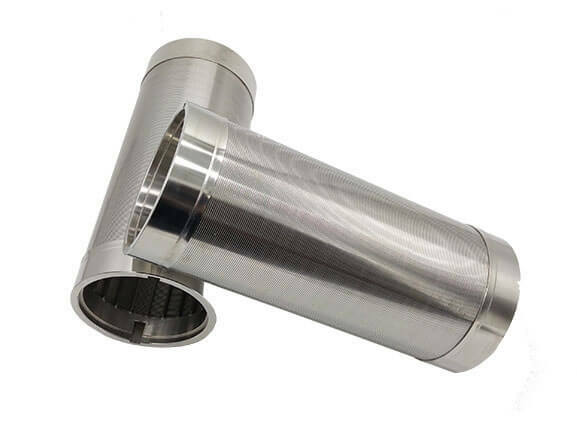 Note: Our positive filtering precision can be 20 microns, this can fully meet all the use environment, but the anti-roll wedge wire screen can't reach this precision(more than 50 microns), so if you need it, please communicate with us the filtering accuracy you need. The high opening ratio is a big advantage of wedge wire screening. 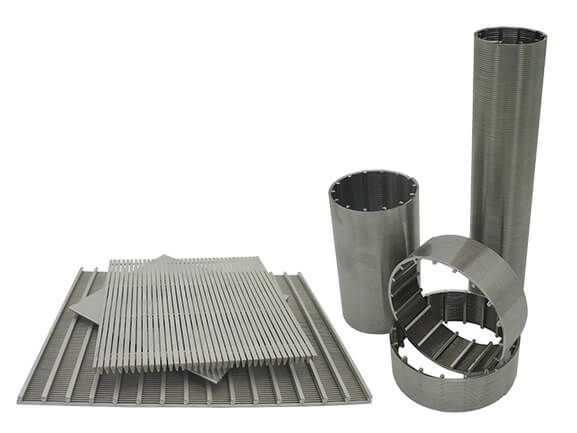 Among them, we are the largest wedge wire filter elements manufacturer in North China. ▪ High temperature and corrosion resistance.Can be used in special environments. ▪ Structural advantage,non-clogging.It has the V-shaped slot formed, so contrast stainless steel woven mesh has an inherent advantage. ▪ Contrast metal woven mesh structure is more sturdy. Many customers ask me which one is better, How to choose? They all have their own advantages and can only be chosen according to your specific requirements. The advantage of the wedge wire screen is that it is not blocked, the structure is firm, Low-pressure drop and it is easy to clean. In these respects, its performance is significantly better than the woven mesh. Its advantage is the large filtration area, compared with the former, it has higher filtering accuracy. At this point, you need a woven mesh filter. If your user environment is very bad, it is recommended to use the former. If you really can't judge which product to choose, please send us your details, we have rich production experience in both products, we will give you a bit of professional advice. Its application is very extensive, and many places are gradually replacing the woven mesh. It is also a material for making the drum screen(for Manure separator). 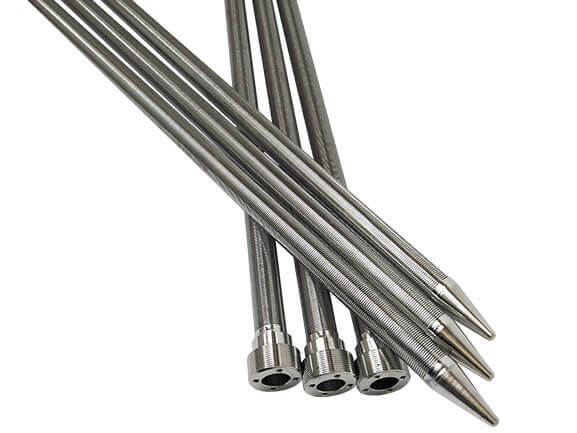 ◐ Are you a wedge wire screen manufacturers or trader? We are a manufacturer, it's our main product, has extensive experience in the production of this product, We upgraded our production equipment five years ago, we are far ahead of the market in terms of craftsmanship. At the same time, customers are welcome to visit the factory. b. According to your requirement. A sufficient amount of quantity you will get a surprising price. ◐ I don't know what specifications I need. You just need to tell us where you want to use it, we will give you the most professional advice,and send you a sample test. If you are working with us for the first time, you may have questions about product quality, when buying in large quantities, you will definitely worry about product quality problems. Don't worry, we have a sound quality management system, and if there is a quality problem with the goods you receive, you only need to provide a batch of the product, we will exchange the goods for you in the first time. 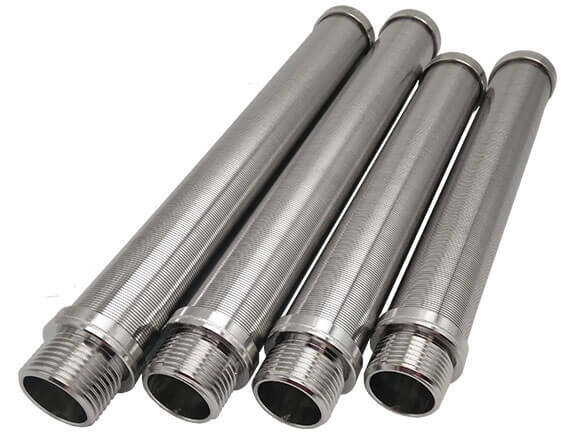 Our company was founded in 1995, initially, our products were stainless steel woven mesh filter element. In the field of wedge mesh filter, we are blank. Expensive equipment and exceptional production techniques almost gave up the idea of producing the wedge wire screen and wedge wire filter elements. 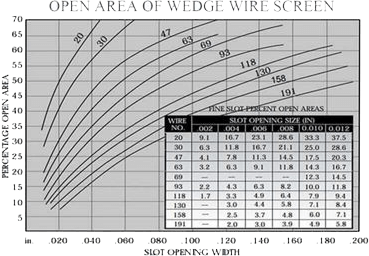 In 2004, we received more than 50 orders information for wedge wire screen products throughout the year. We are deeply aware of the market demand for this type of product. We have invested a lot of money to develop this product and hired more than one industry expert. In 2005, we introduced the most advanced production equipment from abroad and established an independent production workshop. At first, we encountered technical problems. The precision of the anti-roll type screen can only reach 100 microns. We are not allowed to have any technical obstacles to the pursuit of perfection. Through two years of research, in 2007, our highest filtration accuracy has reached 50 microns, It is also in the leading position in the industry. In 2011, We have independently developed two production equipment and error correction equipment. In 2015, we have become the largest supplier of wedge mesh in North China. We will continue to strive to provide high-quality products and services to our customers.